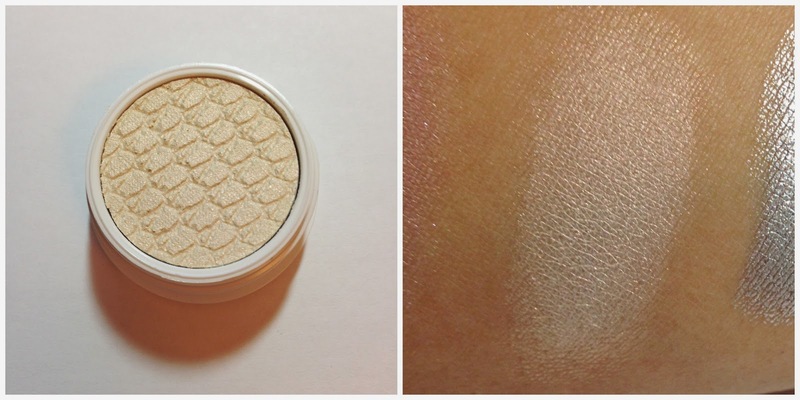 Reminiscent of MAC packaging, no? 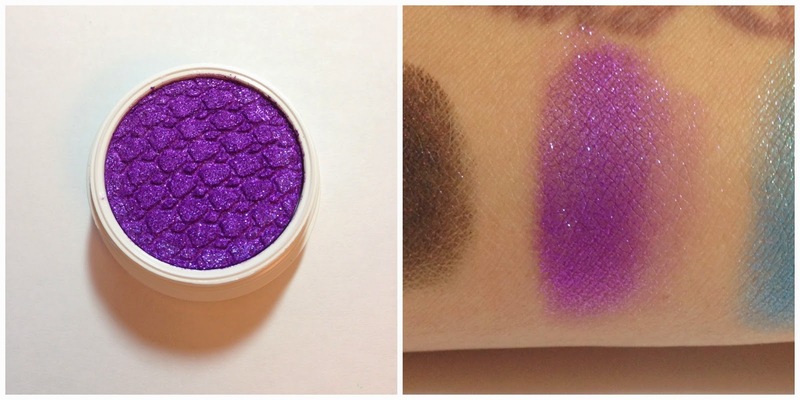 As an Urban Decay/Sugarpill superfan, I appreciated their range of shades and finishes (neons, neutrals, pastels, glitters, metallics, shimmers... no mattes though) and their amazing pigmentation. Considering how the swatches on my arm left stains, I think they will hold up fairly well throughout the day (or an evening out - I forget not everyone is allowed to sparkle at work). They're kind of on the creamy side, in terms of texture, which is probably why they recommend that you cap the containers TIGHTLY and don't let them sit out open for too long. 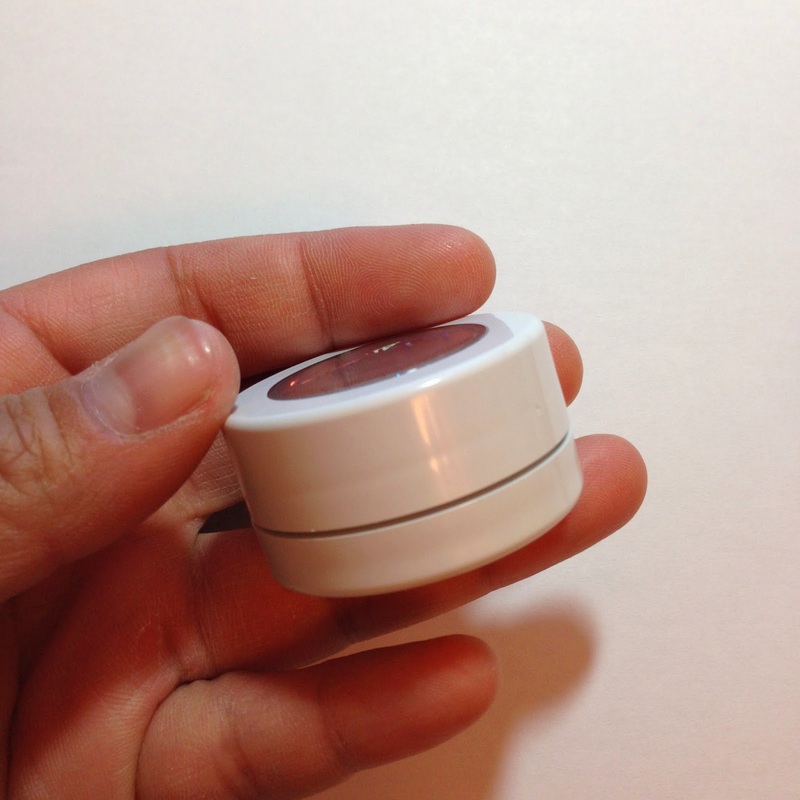 The containers are white twist-offs and feel weighty and sturdy in my hands, which adds to sense of lux. 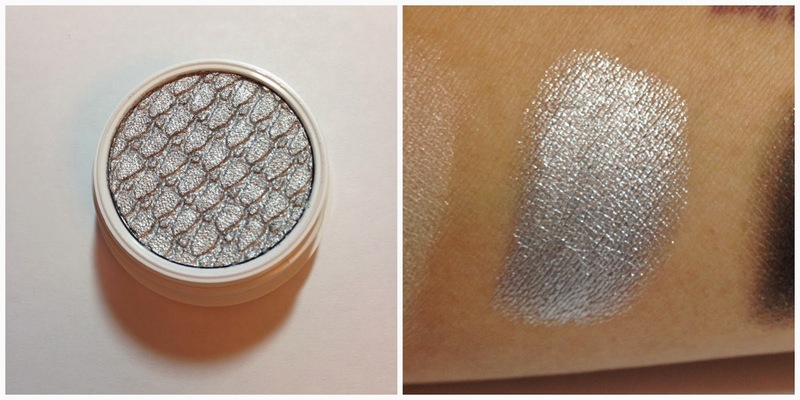 They feel like high-quality, expensive eye shadows in packaging as well as product. They aren't, though. (Expensive, I mean. They are high-quality.) Each one is five dollars. Yup. That's it. 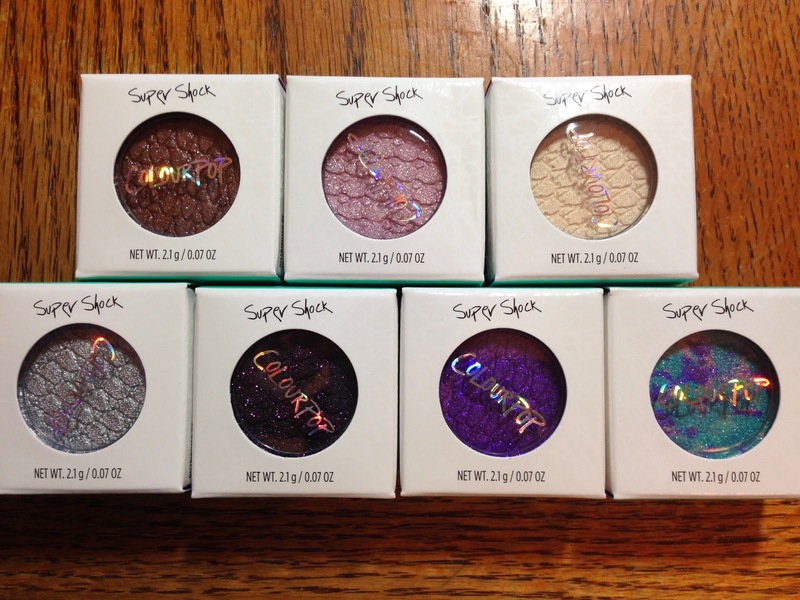 And since I happened to receive their July 4th sale code WHILE I was placing my order, I ended up getting 7 shadows for the price of 6 (and they normally offer free shipping for orders of $30 and above). HIGH FIVE, you guys. I think I have fallen in love. 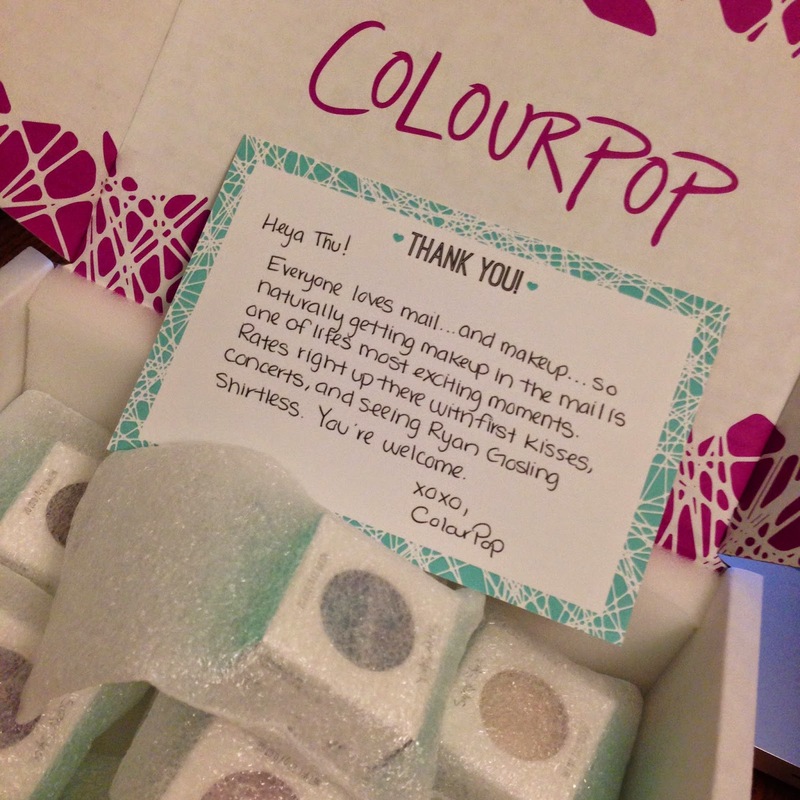 ColourPop, you have won my heart. Expect to see me mentioning them more around here. 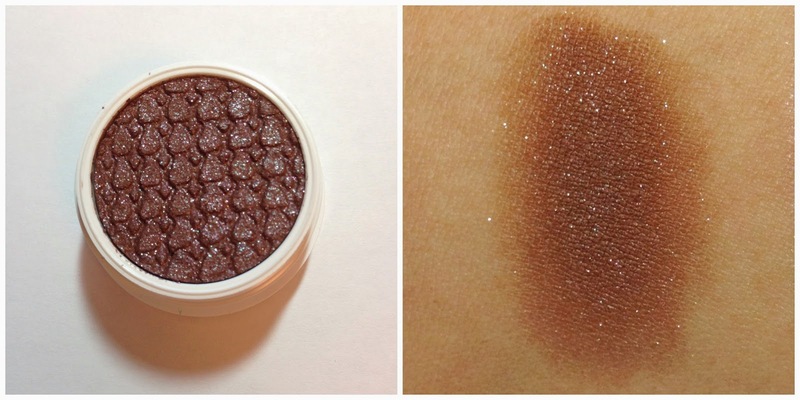 3: "Cool-toned starlit bronze with a flash of silvery and multi-coloured glitter." 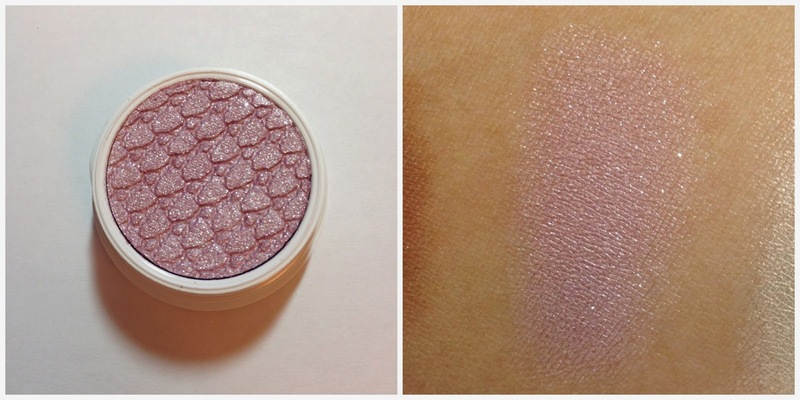 Eye Candy: "Cool toned ethereal lavender drizzled with tons of silver and pink glitter"
Girly: "Creamy vanilla with a flash of pink and gold duo chrome finish"
I frickin' love duochrome eyeshadows, especially pink/gold ones. 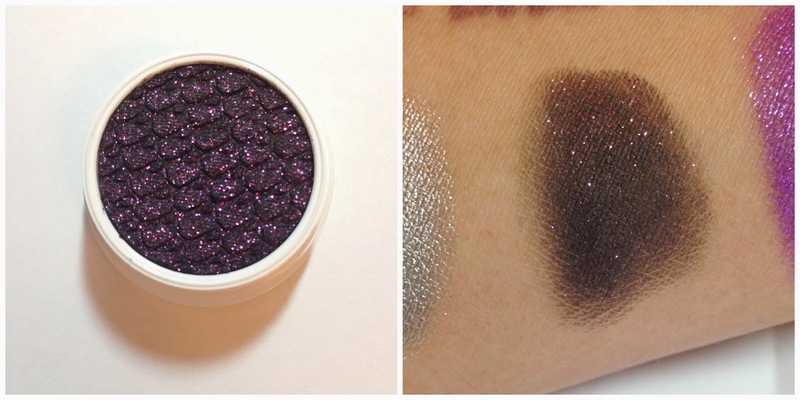 Liberty: "Intense ultra-metallic true silver"
Envy: "Black saturated with violet glitter"
Dare: "Shockingly bright neon purple with hot pink and violet glitter"
aka, Exactly my kind of purple eye shadow! 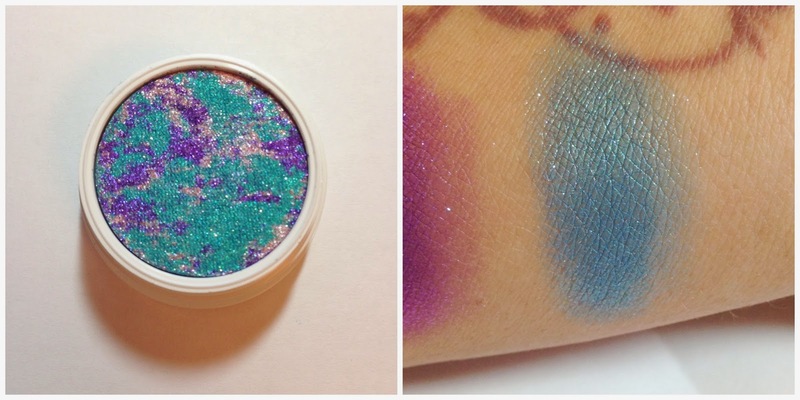 Pop Rocks: "A cool toned cornflower blue with a shi#load of multi- coloured glitter in a metallic finish"
This one is part of their "tie-dyed" line. As one would expect, the colors in the pot get muddled once you start using the shadow, but it's still gorgeous all the same. I think I will order the other two. I am going to check if they send to Norway.